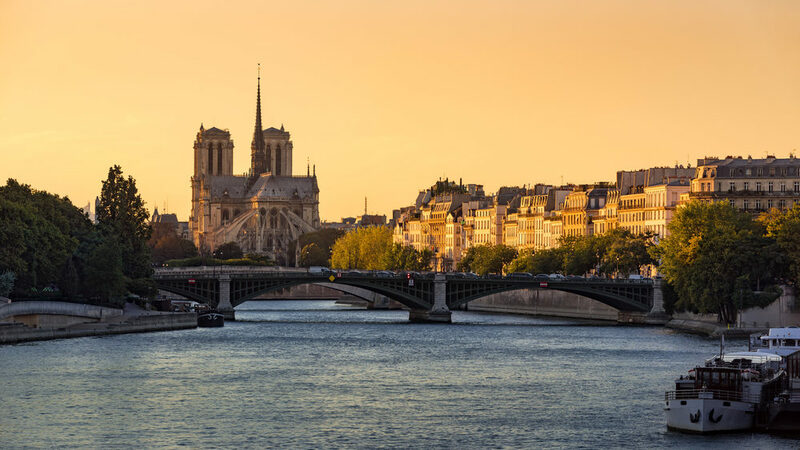 When you visit Paris, one of the city’s most romantic ballads is without a doubt visiting the island Saint Louis. Discover the romantic setting of the island Saint Louis and the corners not to be missed! The Lambert Hotel is one of the most beautiful hotels with Louis XIV style architecture. Many decorations dating from the 17th century disappeared during a fire in 2013! Voltaire even found refuge there in the 18th century! The hotel Bretonvilliers meanwhile was built in the 17th century but was largely destroyed. There remains only the pavilion visible since the street of Bretonvilliers and the street Saint Louis in the Island. The hotel was destroyed in 1874 during the construction of the Pont de Sully in particular. The hotel de Lauzun has an architecture dating back to the 17th century and is famous for having hosted personalities such as Charles Beaudelaire or Théophile Gauthier who smoked Opium among others in search of an artificial paradise. The Chenizot hotel has one of the most beautiful facades of the island with its sumptuously decorated porch. The architecture to discover in Saint Louis Island. The apartments of the island Saint Louis give a direct view of the Seine and the banks of the Seine, especially at the quai de Béthune lined with magnificent facades and portals. Also discover the church of St. Louis in the Baroque island. Most of its ornaments date back to the 19th century, but it was looted during the Revolution. The Saint Louis street en Ile is the busiest shopping street on the island. It crosses the island from East to West. You can find the famous Berthillon shop! The street Regrettier, where there is a statue without a broken head stands during the Revolution is not to be missed! It is also said that the old name of this street (the street without test) comes from the sign of an old shop representing a woman without a head.